A view from near the Campbell Monument, taking in the top of Loch Indaal and Bowmore. In Bowmore you can spot the Gaelic College, the Round Church and the distillery among other places. 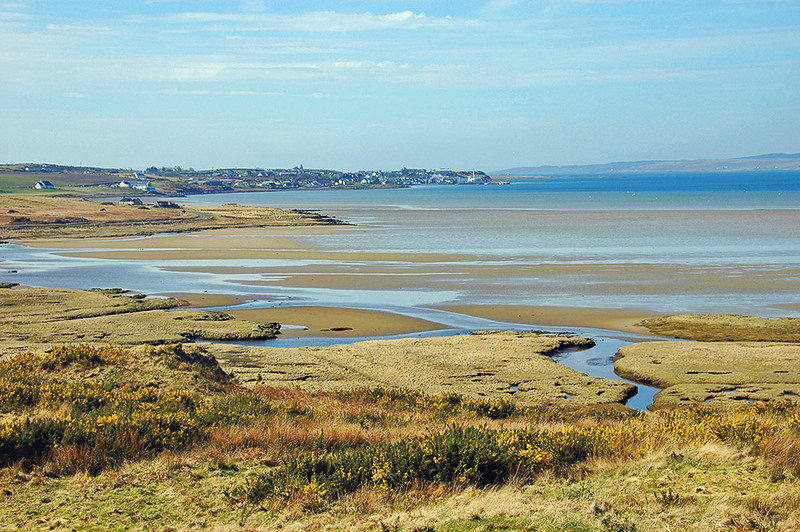 The Rhinns of Islay on the right across Loch Indaal. This entry was posted in Beaches, Distilleries, Landscape, New Post, Sea Loch, Sunny Weather, Village and tagged Bowmore, Islay, John Francis Campbell Monument, Loch Indaal, Rhinns of Islay, Round Church by Armin Grewe. Bookmark the permalink.